I watch anxiously as my blood fills the empty pipes leading back to the machine; entering the filter, it begins to be cleaned. This is my life, three times a week, four hours each, going on 8 years. I listen closely, as my life as I have known it changes in two minutes. Somewhere, someone has decided to donate their kidney to me. My name is Denisha Chetty, I am 22 years old, I am a fifth year Law/Science conjoint student, and I have end stage kidney failure. I started my university experience living in ward 71 at Auckland Hospital, getting infusions of yellow fluids, drugs and treatments every night, before walking up the road to sit in first year law lectures the next morning. Although juggling university, my health, and trying to maintain a decent social life has been tough, my goal has always been to prove to myself that I can keep up with everyone else. I had become accustomed to having tubes rippling their way into my veins down my arms, or peeking out from beneath my bra. I am at the end stage of renal failure, meaning there are only two options left for me: to stay on dialysis for the rest of my life, or work my way onto the kidney transplant list. The truth is, I have good days and bad days. Almost everyday is filled with challenges that I can’t quite fit into a short article, but I’ve learned the hard way the importance of sharing what you are going through. For years, I kept quiet about how I felt and what I was dealing with, because I was scared that sharing my struggles meant I was weak and different. But fighting the universe in your bedroom at night in silence is none the better—it just makes it harder to get up and get out the next morning. After finding out that there was no turning back, and that my life was destined to be tied to a machine, I decided to create a blog and share what was going on, and in doing so, come to terms with it all myself. 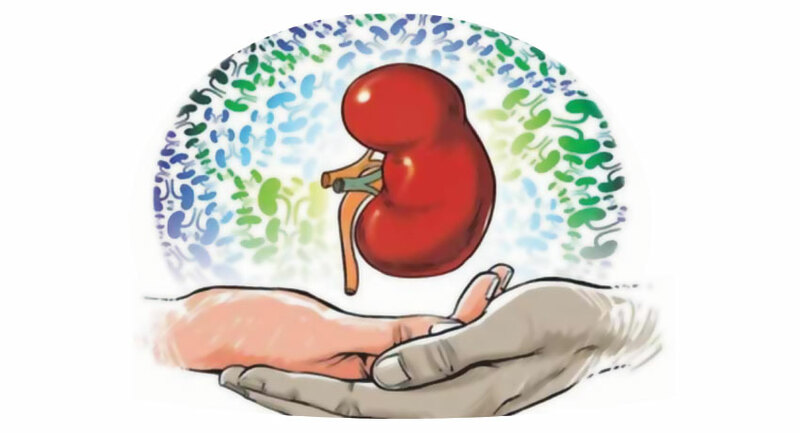 I did more research about kidney problems and began to connect with people as I wrote and shared photos of what it was like studying with one arm and taking mind-altering drugs. I used humour as a means to connect, and in all honesty, not a bone in my body believed anyone who was reading it cared. For me, this was the norm; for everyone else, I felt my story was simply not worth it. Upon sharing bits of information masked behind crude humor, I shockingly found out that many people didn’t realize what was going on with me, or how many people like me in New Zealand suffered silently as chronic patients. It wasn’t so much that they didn’t care before; they were just ignorant, and I could never blame people for not helping when they didn’t know that I needed help. I did not realize the impact that I was making on many young, like-minded adults that were facing myriad troubles. Whether it was mental illness, personal circumstance or chronic disease, we all had similar thoughts, and now suddenly someone was out there sharing it. The power of opening up expressed itself to me in the form of two sisters who decided they wanted to donate their kidney to me, much to my surprise. After speaking on Messenger over a couple of months, I laughed off every single one of their comments; however, they kept asking, becoming more and more interested, as if donating was not such a big deal. I only began to take them seriously when I was sitting opposite one of them, Leah Stewart, in the waiting room, about to do a final blood test match. I’m writing this on the eve of nine months of my kidney transplant. I cannot express what it feels like knowing someone out there sacrificed something irreplaceable for me, having never met me and only due to hearing what I had to say. This experience has taught me that every single one of us are connected in some way or another, and need each other to get through our lives. As much as we can deny it, we were brought here on earth by one another and all that is left of us will be held in the memories of those we leave behind. I encourage you to think about donating blood or even an organ, and realize that you have the power to change and save someone’s life. At the same time, I hope that you share whatever it may be that is dying to come out of you, because there is a very high chance someone else is going through the same thing and is willing to help. If any of this resonates with you, be sure to visit kidneydonor.org.nz and www.nzblood.co.nz/ and be sure to visit www.dennydaily.com or follow @dennydailyblog on instagram to check out my journey and the crazy things I’ve been able to do since being given the gift of life!